Neodymium Iron Boron magnets, popularly named Neodymium Magnets, NdFeB magnets or NIB Magnets are one kind of rare earth magnets with excellent Energy Product and high Coercive Force. As an essential basic functional materials for saving energy and developing green industry, NdFeB magnets are widely used In motor, generator, elevator, sensor, separator, MRI, VCM, DVD, Mobile, phone, printer, instruments, appliances, etc. If you want to know more ,please click : What is Neodymium Iron Boron magnets? How to order Neodymium Magnets? If you want to buy right NdFeB Magnets ,Please Send us the following information if possible. 2. NdFeB magnets grade or detailed magnetic properties,click here for grade and properties. 6. Any Seaport or Airport that close to your company. Mag Spring® is a professional supplier of high quality Sintered NdFeB magnets with different shape and grade Since 1999. Such as Block Neodymium Magnets, Ring Neodymium Magnets, and So On. We are the finest place to buy neodymium iron boron magnets (ndfeb magnets) because we are having highly qualified and experienced team. The main key benefits of this magnet are that high strength, relatively low cost and easy to machine rather than samarium cobalt and alnico magnets. It is available in the bonded and sintered forms. This kind of the magnet is having some limitations because of its corrosive behaviour. Our magnets are used in the high efficiency generators, motors, batteries and sensors. 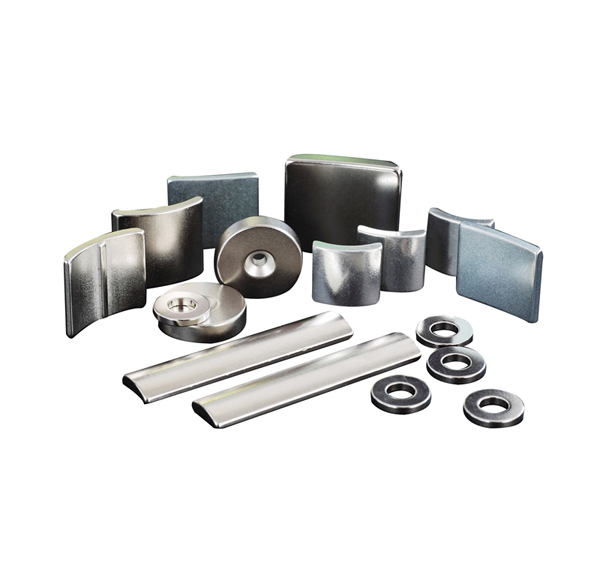 We can distribute comprehensive package of the magnetic and non magnetic products to our clients like permanent magnets, alnico, neodymium iron boron magnets, precision thin metals and precision magnetic assemblies. We can provide huge range of the services to our clients like global customer support, engineering services and contract manufacturing in world class facilities. There are lots of reasons are there to choose our products such as global support, culture of innovation, product reliability and world class engineering. We are committed to offer world class quality products and services to our clients. As a trusted partner and innovator, we can provide premium quality of service. Our magnets are available in different kinds of the shapes like arc segments, rings, bars, blocks, discs and so on. Our magnets could be machined by the grinding by suing diamond wheels. Our product comes with fantastic numbers of the features like higher unit magnetic properties rather other magnets. We are having many years of experience in this field so we can offer quality range of the carrier vibrating equipment and magnetic vibrating equipment. Our magnet is mostly used in lots of applications like food processing, process, animal feed, chemical, cement industries and plastic. We are engaged in exporting, supplying and manufacturing of electromagnetic separator, lifting, magnetic grills and magnetic plate. We are having experienced team so we can provide only top quality of the magnet to our clients. We are the perfect place to buy permanent magnet, pot magnets and magnetic separator. We are having simple to use portal so anyone can easily buy their products without any issues.